, is almost here. This long-awaited cruise liner already has her azipods installed, and the company kindly shared a video of this exciting process. We remind you that currently, the liner is under construction at Meyer Werft in Papenburg, Germany. At the moment, the vessel already has 2 azipods. It’s interesting to know that installation of each of the 200-ton azipods took approximately one and a half days. 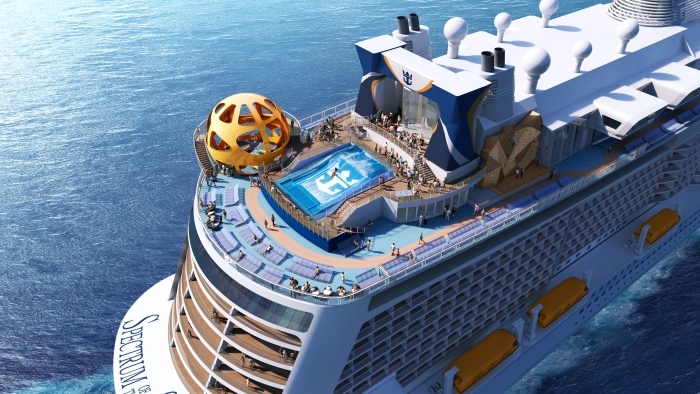 Spectrum of the Seas is expected to start her career in Shanghai, China in June next year. Now we invite you to watch the video of the ship’s azipod installation. Spectrum’s propulsion system will be completed in February when the shipyard’s workers attach propellers to her azipods.